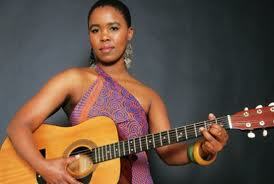 The musical stir Bulelwa Mkutukana (23) better known as Zahara is a complete musician with a guitar handle. She is a name or rather a force to be reckoned with in the South African music scene. 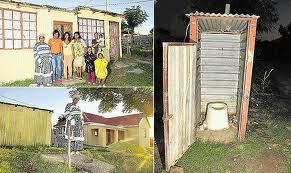 This youthful and strong woman was born in a small rural area called Phumlani near East London, Eastern Cape. Her journey which is nowhere to be a destination in the music industry started when she was spotted or rather discovered by TS Records executive and co-founder TK Nciza in 2009. 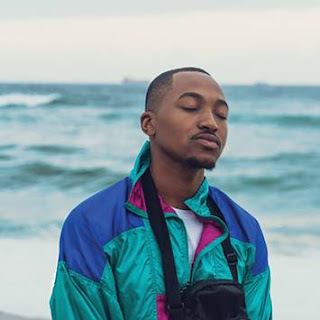 The gift was noticed while performing at a gig in Eastern Cape and Nciza did not hold back when his ears were smothered by her alto voice. Her blow up was not what I see as a surprise because she was first natured by the label until they were ready to introduce her in the industry and the nation. Zahara has and is still the household name around the country – not because she’s from a rural background but the flair within her. She is one of the musicians that received a greater than Brenda Fassie buttress. She, 8 months ago released her debut album titled “Loliwe” which is a Xhosa word for a train. The album was welcomed and loved in each and every household, taxi and buses you name them. Both Zahara and Dj Sbu albums sold thrice in only a week after release, which of course was so amazing. They are also anticipated for both alums to go platinum before the festive season and double if not triple by Christmas time. Remember the albums are "Sound revival Volume 1" and "Loliwe". Wasn’t that achieved? “Dj Sbu "Sound Revival Vol 1" and Zahara "Loliwe" sold thrice already”. Zahara and TK Nciza "I'll make sure she's the best." Last year I wrote a column titled, “Zahara’s Poor Music Videos: I kept asking myself if she’s EMBEZZLED” and that resulted in Robbie Malinga seeing me as some sort of a hater of which I am not and never will be. I love Zahara because her talent is so amazing and no one can ever doubt that. The reason for me to write the column was the short of vision or rather concept in the “Loliwe” music video not the song. As usual I always tag them via the social networks when I write about her – but this time it was never retweeted but I was blocked on her twitter account. Knowing that I write what is true and correct added with my opinion I did not mind as I knew if she does good I’ll make noise about it. This year the great musician was severally nominated in the MTN SAMA 18 and that did not come as a surprise at all but to those who are jealous it did. I mean both her and the record label pulled a lot of work in making sure that she’s a household name and that worked not to their advantage but her musical talent proved to too many artists that if you’re good your music will be played everywhere. For any medium it is difficult to really snub good talent. April 15 a well-know paper published an article titled, “Zahara's their maid - Sisters believe Nciza is ripping her off” where her biological sisters went on about how broke their sister is and how she’s asking their mother for airtime cash. They also complained about how TK promised them – ranging from buying Zahara a house in Johannesburg, their parents a farm and two cars for Spinach (Zahara). My worry they did not mention the dates and the period all this will take, which is of course something very important to really consider as she is only eight months in the music industry. So our questions should be, “Was these promises long or short terms goals?” Should we be able to establish that – then we’ll know who’s at blunder here. Even if Nciza did promise them such they should not claim such unless they have a valid agreement with him. It sounded like TK knew how much Zahara’s talent cost of which he did not know at that time, I assume. It was really unfair of both her sisters to pull such about their sister in the media, what were they thinking? The only thing they should have done is to hold up with her as a family and not through the media. The Sunday Sun then published a different story of which Zahara was featured where she tried to set the record straight. But honestly the story sounded as some sort of defence mechanism whereby she went all out to be okay and defending her record label, I mean any artist(s) have an instruction on how to handle the media from any given record label, unless we talking labels owned by marionettes. But we also have to believe what she said because she’s the one directly affected by the whole media saga. If she says she’s okay, well, she’s “okay” and we have no further business to investigate financial status of any “okay” person. After all this April 22 the popular paper published another article titled, “Saving 'spinach' - Eastern Cape government steps in” I mean what the hell for? 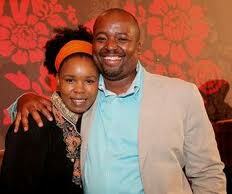 Is Zahara their main issue compared to the bad educational facilities that they are yet struggling to solve? Zahara is not an orphan and she does not need the so-called “Social Workers.” Was there really anything for the Eastern Cape Government to intervene on? How many artists have been ripped by the industry and where was the Government? Former EC artist Mashava was ripped in front of them, did they “intervene?” Where is Mashava now and where’s KK his record label? This was and will never be a government issue because Zahara is an adult and she knows what’s good for her. 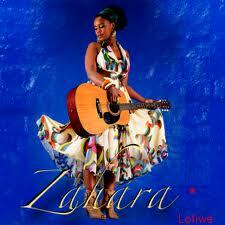 Was this a publicity stunt so that we feel oh shame what a pity – I am voting for Zahara for the SAMA 18? Only TS can answer that. Zahara won an award for every month she spent in the industry, wow! Eight awards in a sweet period of eight months. Which artist(s) did that locally? Are we jealous of Zahara? If not, then what do we want? Why can’t a black musician succeed without quarrels from the very same blacks? The above is what I observed during her success that once again is a journey not a destination.